Treasure Map I – 38×43 – Follow the main road towards Thibaut’s Cairn. Once you reach it, look for the hidden treasure next to the wall. Treasure Map II – 33×13 – From Fort Grimwatch Wayshrine head north towards Old Town Cavern. Dirt mound is hidden between two huge trees among many wasps. Treasure Map III – 27×65 – From Moonmount Wayshrine head north towards Jodewood Dolmen. Next to the waterfall you will see a small tent. A few steps before the tent, you will find a digging spot next to a tree. 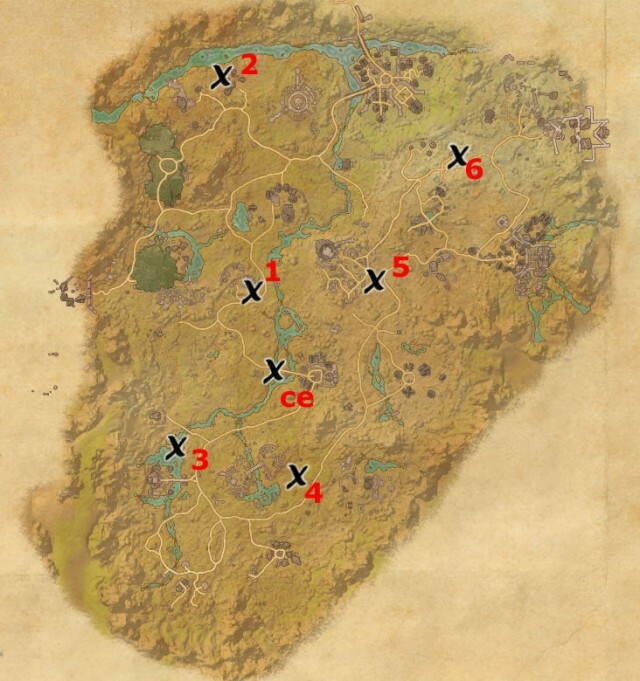 Treasure Map IV – 45×69 – Use Willowgrove Wayshrine, and head north. Dirt mound is well hidden near the tree, guarded by two tigers. Treasure Map V – 55×42 – Outside Thizzrini Arena, near the broken wooden-beam gate. On a small hillock among scorpions, you will find hidden treasure between rocks. Treasure Map VI – 67×24 – From Fort Sphinxmoth Wayshrine travel southwest towards Ushmal’s Rest. Once you reach old wooden dock, turn right and look for dirt mound near rocks. Collector’s Edition Map – 41×54 – West from Rawl’kha Wayshrine, next to the second bridge on the small peninsula. Found some guides helpful? This site needs YOUR help to stay online, so please consider supporting it on Patreon or Bitback to keep it live and up to date. Thanks! Brave browser is 2X faster than Chrome, and has built-in ad blocker and privacy. Using Brave helps us and many other content creators too! 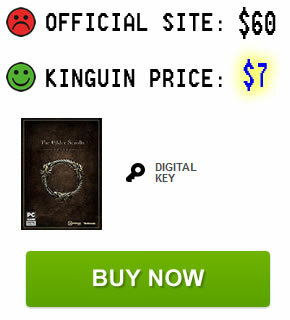 Buy The Elder Scrolls Online game and Crown Points -- cheaper than on official site guaranteed! Celebrate 5 Years of ESO With our In-Game Extravaganza Event! The MOP Up: Grab your Harry Potter nickname now! The Daily Grind: Do you have a ‘port in the storm’ MMORPG? This unofficial fansite is not affiliated with, sponsored or endorsed by Zenimax or Bethesda, or any other publishers or operators of the video games mentioned. The Elder Scrolls and all other trademarks are property of their respective owners. © 2019 - Elder Scrolls Online Guides. We are an unofficial fansite not affiliated with developers or publishers of games mentioned.